Every business owner in Dallas that works out of their own building pays commercial property taxes. On top of other standard business expenses, tax season can become quite “taxing” for many commercial property owners. While most people understand that they can protest their standard property taxes through an appeals process, some business owners are still left in the dark to money-saving techniques that can help during tax season. Here are four ways that you can approach potentially lowering your commercial property taxes this season. Depending on your jurisdiction, the appeals process can at least save you some money in the short-term. 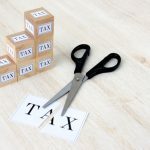 Some jurisdictions will allow commercial property owners to pay a portion of their taxes during an appeal, and either save the remaining money or pay it back if the appeal is denied. Every jurisdiction is different and could have little-known clauses in the appeals process that can save you money. We suggest meeting with a property tax consultant to discuss the appeals process in your area and if it can help you save some money this tax season. When it comes to the valuation of your commercial property, knowing how to classify your assets could be the difference between saving money or overpaying on a tax bill. Based on your industry and the equipment that you use, you could be classifying your assets wrong and losing out on a favorable tax position. Some equipment could even be segmented out to help you save on your commercial property taxes. Finding out how to classify your assets is simply a research opportunity you should not pass up. Unlike your income taxes, your commercial property tax is not something that is fixed and set in stone. Even your commercial property taxes will fluctuate based on the surrounding market and its valuations. Visit your local assessor and find out how surrounding commercial properties are being valued. Then go back, meet with your property tax consultant and compare similar valuations to your current commercial property tax assessment. Remember, the county can make improper valuations, it’s just up to you to understand how property tax works and how you can appropriately approach lowering your assessed value this season. Paying early is never a bad idea when it comes to your property taxes. In fact, you may find that your county may provide certain incentives to taxpayers that take the initiative to look into their upcoming tax bill and pay ahead of time. A quick visit to your local tax assessor can help you identify any tax bills that could work in your favor. If you have become frustrated with your recent commercial property tax bill, you may have a chance at lowering the amount due. By working with an experienced team of property tax consultants you can learn techniques and gain insight on how to approach commercial property tax reduction. The Hegwood Group is a team of property tax consultants that have the expertise to help guide you through this process and are happy to address your concerns. Contact us today to schedule a consultation.